Greetings!! It's been a while. 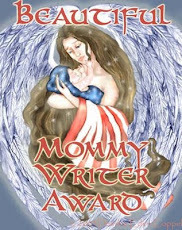 This poor ol' blog often lays dormant except for April when I do my annual poetry challenge. But today I wanted to share something I found useful in my study of the New Testament in the Bible. 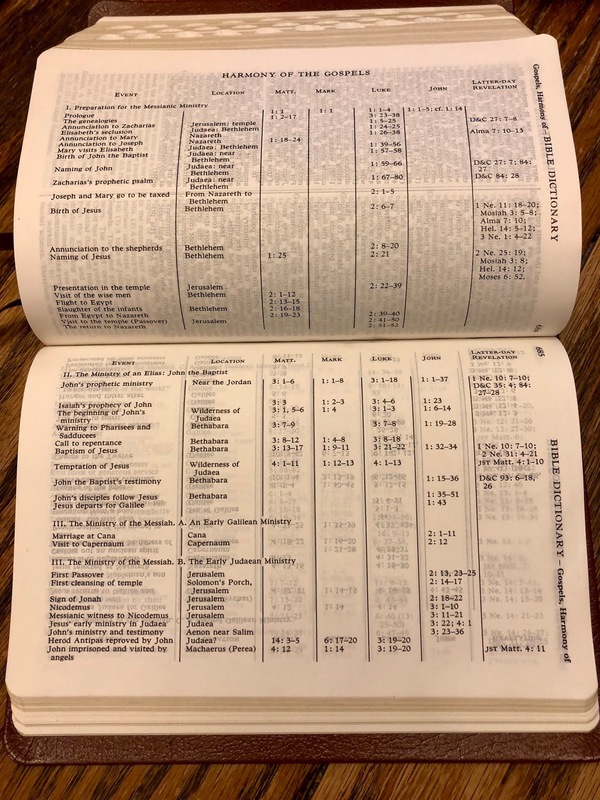 I came across an interesting resource with my scripture study this week. It’s called the “Harmony of the Gospels” and it’s found on page 684 of the LDS (The Church of Jesus Christ of Latter-day Saints) publication of the KJV Bible. It’s basically a chart. 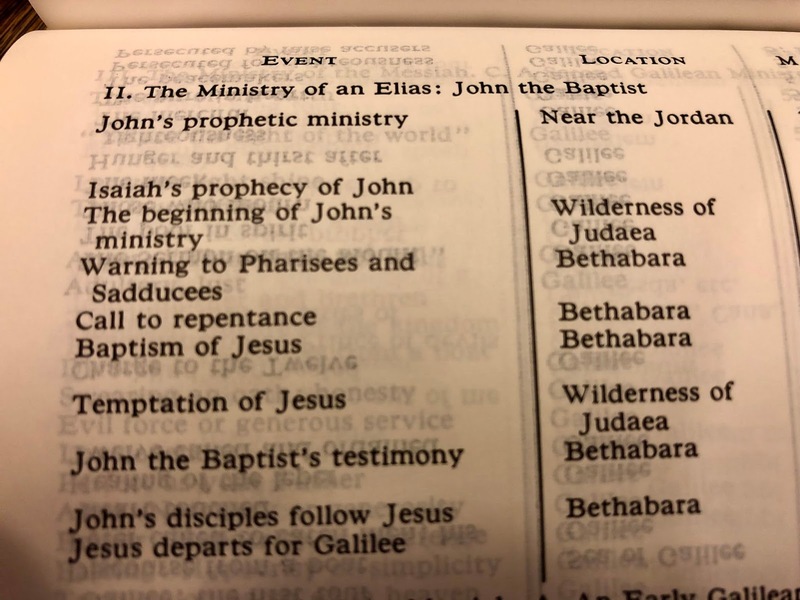 On the left-hand column it names the event, then across the page includes the location and where to find the references to it in Matthew, Mark, Luke, and John and also any latter-day revelations. 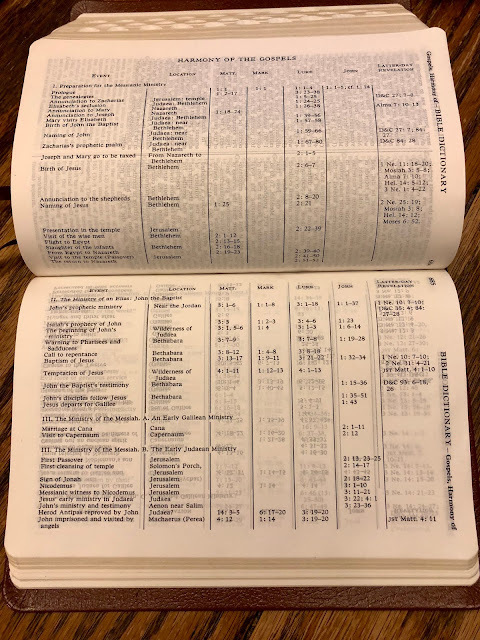 It’s part of the Bible dictionary. So, this week I'm studying the baptism of the Savior and it tells you where it was done (Bethabara) and which references in the gospels you can find it and also where it can be found in the Book of Mormon if that happens to interest you as well. Pretty cool. Enjoy!